Partners Group’s Head of Private Infrastructure Americas, Todd Bright, talks about creating the infrastructure required to support North America’s explosion in energy production. This article is sponsored by Partners Group and first appeared in Infrastructure Investor’s North America Report. Q: Energy continues to dominate North American infrastructure. Why is that? TB: Energy has always been a sector that has been conducive to private capital investment in North America, from upstream right through to downstream. Enabling legislation such as the Public Utilities Regulatory Policy Act of 1978, which gave rise to the independent power industry; private ownership of mineral rights; and a number of government incentive schemes along the way, have all supported the growth of infrastructure investment in this space. And then there is the sheer size of the opportunity relative to other types of infrastructure in the region. The US is now the largest producer and consumer of natural gas in the world. It is the largest producer of crude oil and the largest producer and consumer of refined products. We have a million megawatts of installed generation capacity. The simple scale involved creates a lot more opportunities than most other sectors. I will say that the communications space is closest behind energy in terms of having the conditions in place to support private investment. But other areas of infrastructure are dominated by public ownership – airports, toll roads, ports. The development of public-private partnerships has not come about in North America, or the US certainly, in the same way as other geographies because of a lack of public sector expertise in procurement and contracting, as well as the complexities of dealing with federal and state governments. All of this points to energy being the major infrastructure investment opportunity in North America, now and for some time to come. Q: Which areas within the energy space are most attractive? TB: Everything that has happened over the past five to seven years with the shale revolution has created opportunities all along the value chain. The drilling activities have created gathering and processing opportunities close to the wellhead. That production, in some cases involving newer basins, creates opportunities to relieve bottlenecks to market. And then the flows further downstream have changed as well and that creates pipeline, processing and storage opportunities. The other thing that has happened is that because of the abundant, cheap supply of energy in the US, there has been a downstream industrial renaissance. We have seen an explosion of activity in petrochemicals and other energy-intensive sectors and that has created a lot of need for related support infrastructure investments. Then, of course, there is the export play as well. Right up and down the pathway from wellhead to the export of natural gas and other commodities, there has been a massive transformation. Transformation within capital-intensive markets will usually create a lot of infrastructure need and that is what has happened. Whereas in renewables, we see better relative value for our clients in other geographies such as Asia, in North America, midstream energy infrastructure is where we see good relative value. Q: What impact has the Trump administration had on energy infrastructure investment? Do you see the regulatory environment changing? TB: With regulation around infrastructure in the US, there is a federal overlay, but it is the state level that is critical. The regulatory environments in California and Texas, for example, are very different when it comes to energy assets. You have to work with those differing frameworks in mind. In California, we are invested on behalf of our clients in a power plant that helps support the growth of renewables. This isn’t a baseload plant, running all the time and competing against renewables. It’s a plant that only runs about 15 per cent of the time but on around 90 per cent of days. It’s a flexible plant that can stop and start in response to fluctuations in wind and solar supply. The Californian regulatory environment is pretty supportive for those types of projects. In Texas and Oklahoma, meanwhile, the regulatory environment is very supportive for midstream assets. The natural gas value chain is a crucial part of the economy in those states, so when it comes to the development, building or permitting of assets within that sector, those are good states to be operating in. Will the Trump administration ever pull together a coherent infrastructure incentive scheme? Maybe. Maybe not. If they do, that obviously cannot hurt. However, we wouldn’t rely on it happening because the regulatory framework that is closer to the specific assets, at a state or local level, is more important anyway. Q: How big a problem is activism for midstream assets, such as pipelines, and how do you deal with that risk? TB: We are very serious about environmental, social, and governance – or ESG – factors. We look to invest our clients’ capital in assets and businesses that are providing essential services that are good for society and needed by society. We are trying to build assets that are supported by their communities. If you have those sorts of characteristics, then activism should be less of a concern. 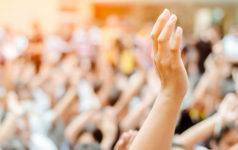 But if ESG considerations are secondary for your firm, then yes, you might get surprised by activist interest from time to time. ESG is front and centre of our investment screening and due diligence processes, as well as how we manage the assets we own. That is because we think that is the right thing to do, and, as a result, we are minimising the risk of being surprised by activist opposition. Q: The market for midstream assets is very competitive and valuations are high. What does that mean for origination, underwriting and exit? TB: It is a very competitive market right now on the buy side which makes it a good environment for selling. Valuations have been climbing steadily over the past few years. By the same token, we are seeing interest rates trend up. It used to be close to 4 percent, all in, in terms of cost of debt. It is now more like 6 to 7 percent, so that will impact valuations eventually. We’ve underwritten that into all of our investment cases and will continue to do so. Where assets are GDP-exposed, meanwhile, I think valuations might start to settle down. London City Airport traded at 33x EBITDA a couple of years ago. An asset with that much GDP exposure probably wouldn’t sell at that level today, so we try to minimise GDP exposure in our portfolio. Pricing has certainly been high and it has been a favourable environment for exiting, which we have been able to take advantage of for our clients. But clearly upward movements in interest rates, some volatility in capital markets and concerns around the macroeconomic situation globally, all need to be factored into underwriting. Q: There is clearly huge demand for midstream infrastructure right now. But how much growth remains? TB: Infrastructure development within the midstream sector has occurred pretty rapidly over the past few years. That is always going to cause people to ask whether the trend can continue. But all the indications are that billions more is required in this space, right through to 2030 or 2040. In terms of annual expenditure though, we might be setting the high-water mark presently. Close to $70 billion will have been spent across the US and Canada in 2018. Next year is expected to be bigger, possibly even approaching $100 billion. That probably will represent a peak. I think those numbers will settle down in the $50 billion to $75 billion range until 2035, which still represents an exciting opportunity. We continue to be bullish about the need for midstream infrastructure and to look at establishing platforms that will benefit from that need going forward.